This is a Recipe for preparing tasty Soya Veg Idli. This is probably the most healthy and nourishing Idli preparation, especially for growing children as it uses Soya, which is well known for it health benifits. First roast Rawa to light brown, cool it and mix Soya flour, Curd, chopped and grated vegetables, Salt to taste, Ginger paste, Coconut grated. 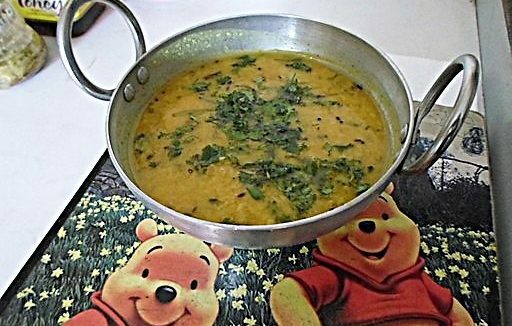 Heat Oil and season it with Mustard seeds, Curry leaves and Asafoetida. Cool it and mix it. Add little water and bring it to the consistency of Idli dough and keep it for ½ hr. Smear Oil to Idli plates or place pieces of Banana leaves and smear Oil. Pour the dough o Idli plates and steam it for 20-25 mts. Serve hot Idli with Coconut Chutney or Curd raitha or Sambar or Rasam.